photo: 350.org. CC BY 2.0 (cropped). Like many other Micronesian states, Palau is extremely vulnerable to rising sea levels and storm surges — several islands are less than a metre above sea level. In other low-lying countries like Bangladesh, people have become used to the idea of moving, but “planned relocation” evokes strong feelings in this part of the Pacific. Palau gained independence from the United States in 1994 and signed the Compact of Free Association, which will run until 2044. Under this agreement, the US provides substantial financial assistance to Palau, whose nationals can also travel to the US with relative ease and work there. Almost everyone has a family member in the US, but no one talks about moving there permanently. Louis Josephs* (not his real name) worked with the US coast guard for several years. Palauans volunteer for the US military at a higher rate than in any US state, according to testimony by Edgard Kagan, Deputy Assistant Secretary of the US Bureau of East Asian and Pacific Affairs. But when Josephs decided to call it a day, he went “home to Palau”. People in neighbouring islands like Kiribati and Tuvalu are being forced to move away from the constantly encroaching sea. Planning for possible dual citizenship, shopping for land, and providing new skills so their people can get jobs in another country are among the policy decisions that confront low-lying countries and islands. But many Pacific islanders feel like Josephs. Tony de Brum, the Minister in Assistance to the President of the Marshall Islands, told IRIN that the idea of planned relocation is not even being considered. “If we do that, it will be an admittance of failure in our part,” on two counts — adaptation and global mitigation efforts. The perception that all small island states and low-lying countries are lobbying for “climate refugee” status in the developed world is not true. At the last climate talks held under the UN Climate Change Convention on Climate Change (UNFCCC), in Poland in 2013, the term “planned relocation” was removed from the text dealing with a new approach, called the Warsaw International Mechanism, which will consider loss and damage caused by climate change. “Planned relocation only appears under ‘Adaptation’, which is often interpreted as happening at the national level [within the country],” said Koko Warner, a scientist at the UN University and an author for the Intergovernmental Panel on Climate Change Working Group II, which covers impacts, adaptation and vulnerability. “Loss and damage might be interpreted as those negative climate impacts that exceed a country’s ability to mitigate and adapt… Some countries expressed reservations about the idea of having planned relocation in the text on loss and damage, since these countries (especially small island states) have hardly contributed to dangerous climate change, but would be asked to concede significant things like administration of viable populations and habitable territory — both key parts of sovereignty,” Warner pointed out. But on the shores of many small island states a new reality has already arrived. The Pacific Islands Framework for Action on Climate Change, which saw planned relocation as last resort, is now reconsidering its decision. This follows a recent consultation between the Pacific islands and the Nansen Initiative, the global effort to examine the protection of “climate refugees”. Any planned relocation to another country would have to define the legal status of the relocated community in the new state; help communities adapt to local customs and laws; include consultation with potential host communities; and help the diaspora community maintain their cultural ties, e.g., by allowing dual citizenship. Countries and experts have been lobbying at the UNFCCC process for recognition of climate change-related migration issues, so as to access funds and technical support provided by various mechanisms, some of which are still being negotiated. Leckie regularly advises a number of UN agencies on housing and land matters. He believes everyone on earth is entitled to housing, land and property rights under international and domestic human rights law, and that these should form the core component of development, with the enforcement of domestic laws and policies to resolve climate displacement. With the help of jurists he has developed a global framework based on these principles, called the Peninsula Principles on Climate Displacement. He hopes any displaced person would be able to use the principles to hold their government accountable. But securing these rights requires funding. “Funds need to be urgently allocated towards adaptation measures… with clear earmarks for land-based solutions to climate displacement,” Leckie says. It is a tremendous task, as Leckie and DS discovered in 2008 when they tried to help people from Papua New Guinea’s Carteret Islands, about 80 kilometres north of neighbouring Bougainville Island. DS found privately owned fertile land in Bougainville, which the owner was willing to sell at a low price, but the money did not arrive in time. Now, “a handful of Carteret islanders have relocated to Bougainville, while hundreds of families barely eke out an existence on their increasingly threatened island home,” Leckie said. DS has had some success in Bangladesh, where it has been working for several years with local organizations, in particular Young Power for Social Action, based in the country’s second largest city, Chittagong. In 2013 they identified parcels of land safe from erosion and with access to social services. They intend to conduct a feasibility study and present it to the local authorities, with a formal request to resettle people displaced by climatic events, who wish to move voluntarily. Countries will need technical expertise, which the UNFCCC process could provide. A joint report on loss and damage, produced in 2013 by the NGOs CARE, ActionAid and the World Wide Fund for Nature, suggests that a specific working group on migration, displacement and relocation should take up the issue, said Sven Harmeling, the Climate Change Advocacy Coordinator for CARE. This would be done when a two-year work plan starts as part of the elaboration of the Warsaw mechanism, he added. 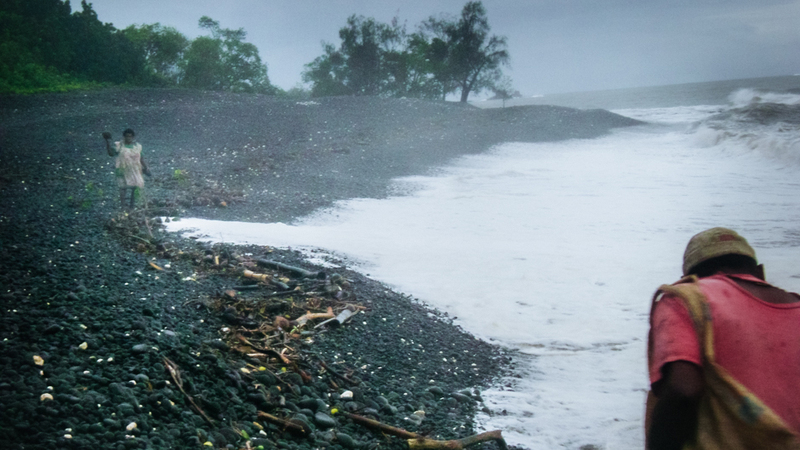 Scientists like Warner, and aid workers like Harjeet Singh, ActionAid’s international coordinator for disaster risk reduction and climate change adaptation, refer people who question the link between climate change and migration to research underlining the connection. Warner led a series of scientific studies detailing loss and damage from a changing climate, which is forcing many people in the developing world to move, and says they found that few households were able to use migration as an adaptation measure. Existing policy responses to migration were more supportive of people with skills and not those “migrating from a position of great vulnerability and who face climate-related, non-temporary problems”. Copyright IRIN. All rights reserved. Jaspreet Kindra is a journalist with IRIN (Integrated Regional Information Networks) covering science, agriculture, health, climate change, sustainable development, poverty reduction, and policy.